SAN FRANCISCO & LONDON – December 6, 2014 – Today during its keynote address at the PlayStation Experience community event in Las Vegas, Sony Computer Entertainment America announced a partnership with SEGA® of America, Inc. and SEGA® Europe Ltd. to release Yakuza 5™, the much awaited fifth installment in the critically acclaimed main Yakuza™ series, on PlayStation®Network for the PlayStation®3 computer entertainment system in 2015. Yakuza 5 will make its Western debut as one of the most requested titles from the #Buildingthelist campaign, Gio Corsi, Director of Third Party Production at SCEA, announced at the event. Both companies also revealed that Yakuza™ 4 and Yakuza™: Dead Souls are available on PlayStation®Network today. A direct sequel to Yakuza 4™, the game continues the epic story of Kazuma Kiryu alongside four other protagonists, following their struggles and conflicts in the seedy underbelly of Japan’s Yakuza underworld. Featuring a new graphics engine versus its predecessor, Yakuza 5 takes players to five major Japanese cities to venture through a life of crime and power. 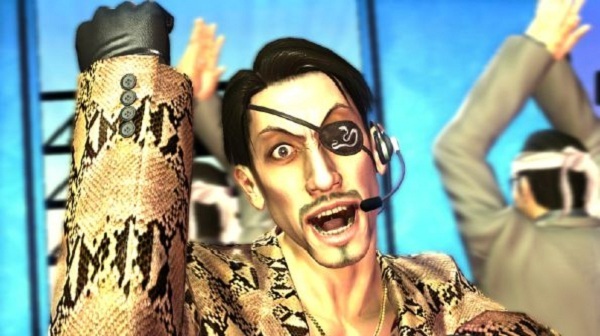 Yakuza 5 features more mini-games than previous titles, a modified battle system as well as enhanced customizations and interactions in the signature hostess bars of the franchise. In addition to these features, Yakuza 5 also introduces “Another Drama” which is a series of side stories that focus on each protagonist in-depth and are separate from the main story of the game.